MedUni Vienna states that hypnotherapy is still one of the most effective treatments of Irritable Bowel Syndrome. For those suffering stress-related IBS they have a distinctive microbial signature in their gut. Studies in MedUni, Austria, has found holistic therapy, typically hypnotherapy is significantly more effective in treating IBS than symptomatic or probiotic treatment alone. 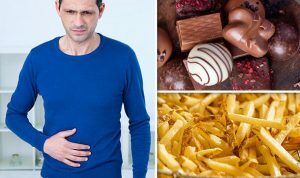 The condition manifests by a range of digestive problems including bloating, constipation, diarrhoea, inflammation and general unease. It is estimated that the Western population is affected by 10-20%. Upon diagnosis, often a diet of probiotics is prescribed, but gut-directed hypnotherapy also alleviates symptoms. There continues to be a lot of research into gastrointestinal flora to track the cause of this condition. Using stress questionnaires and stool samples have shown a direct correlation of gut bacteria and psychological distress. This has validated the importance of the gut-brain axis which is the relationship between the gut microbiome and the mine. It is for this reason that many approaches focus on restoring gut flora by means of probiotic diets. However, Moser’s Study Group (MedUni), a holistic, psychosomatic approach works better-hypnotherapy. Clients who have undergone hypnotherapy showed significant alleviation of symptoms. This did not alter the composition of their gut bacteria. Further studies need to be conducted to discover whether something has changed on another level such as bacterial metabolism as the original gut flora has remained the same. Up to 70% of those treated with hypnotherapy responded positively. The percentage for purely symptomatic and/or probiotic nutritional therapies is much lower. The holistic approach to treating IBS with hypnotherapy will continue to offer the best results in the immediate future. “The influence of the gut microbiome on the mind and nervous system is an exciting field of research. However, purely biological approaches are insufficient for the treatment of IBS, which also requires psychosocial approaches, which are currently much more successful for patients.